Who would never want a free travel with your friends, families and loved ones? Dream and travel all around the country and different places for free. December 2014, Cebu Pacific Air launched the first ever lifestyle rewards program in the Philippines where you can earn points and use it for a free flight. Exciting isn’t it? GetGo is way better than other rewards program like Philippine Airlines or SM advantage card. Because aside from earning points with Cebu Pacific flights or Cebgo, you can avail discounts and promos from their participating partners. Yes, that’s right! GetGo partners are all over the country. 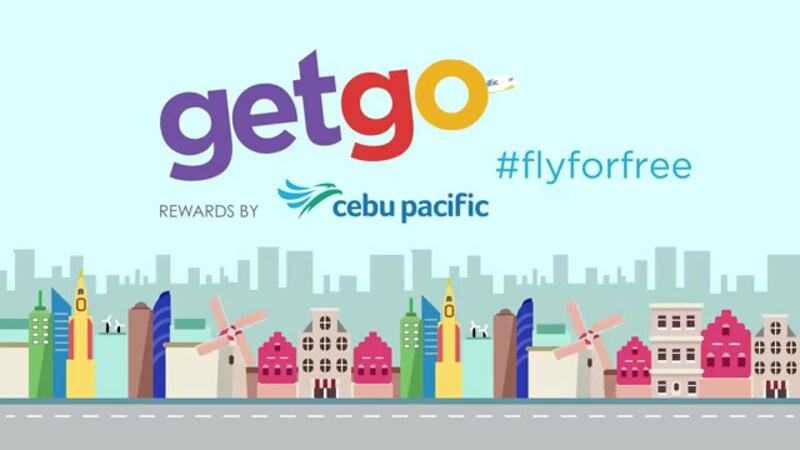 You will earn 1 GetGo point for every 5 Philippine Peso (or equivalent) spent on the base fare and select add-ons with Cebu Pacific Air or Cebgo. To make more exciting, GetGo has a lot of features and benefits. Check out the list below. Earning Circle - is a group feature that allows you to combine your GetGo points together with seven (7) other members of GetGo. Earn flights at your fingertips – there are no seat limits. If the seat is available to buy, then you can fly with your points – any seat, any flight, anytime and anywhere! Not enough GetGo points? Top up with cash to fly further in your convenience. - Convert your rewards currency in Partner rewards programs to GetGo points. Visit https://getgo.com.ph/web/getgo/earn-with-our-partners and check out for more information about their partners. What a REWARDS PROGRAM! I heard they are targeting Malls, Telcom, Fastfoods and everything. AWEESOMEEEE! Earn points when you TRAVEL and from your everyday spend.